As the UK looks to benefit from the opportunities afforded by Brexit, Theresa May intends that the country’s economic success will be underpinned by a modern industrial strategy. The first outline of this was set out in a green paper published in January. In this pamphlet, Rupert Darwall argues that an industrial strategy is needed, in order to provide a coherent framework for policy and to reduce the incidence of ad hoc interventions. But how does the government’s approach measure up? 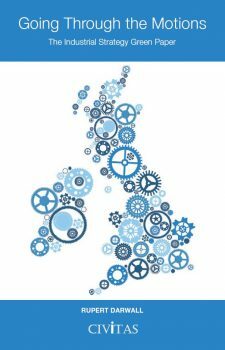 Benchmarking the green paper against corporate strategy-making, he warns that it fails to offer the the analytical rigour and structured thinking required for a modern industrial strategy. It identifies productivity as the country’s principal economic challenge but does not advance credible policies to address it. It proposes an industrial strategy that does not have industry at its heart. The Prime Minister wishes to create the conditions in which successful businesses can emerge and grow. But an industrial strategy that does not help business improve its cost performance is likely to be a losing strategy. Access to abundant primary energy – first water power, then coal – is the development story of Britain’s industrial heartlands. Yet the potential of fracking to turn the North West into the energy capital of Europe is ignored, as is developing Britain’s undersea coal reserves, while the hydrocarbon-intensive chemicals sector is written out of the strategy’s script. A laundry list of existing government policies is not a strategy, Darwall writes, nor does it constitute a break with business-as-usual. Rather than seizing the opportunity provided by Brexit to reshape the economy, the industrial strategy green paper is going through the motions.